Own one of our luxurious freestanding lodges and enjoy all of our resort amenities along with a hassle-free experience managed by one of the world’s leading hoteliers. Our collection of freestanding two bedroom lodges are available for whole or fractional ownership through our Private Residence Clubs, which offers a practical, maintenance-free way to own a luxurious vacation home with all of the amenities offered by award-winning Auberge Resorts. 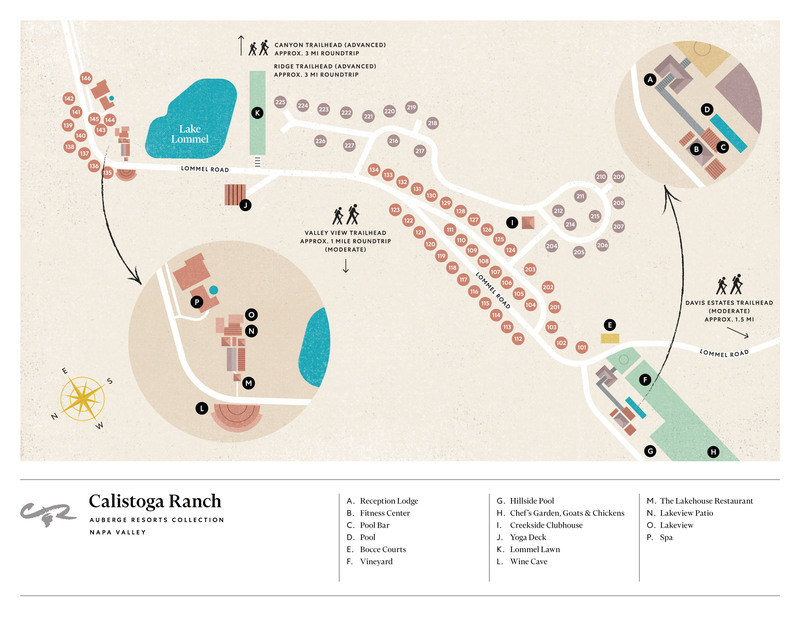 Ownership at Calistoga Ranch is acquired on a fractional basis through our Private Residence Club, which lets owners customize their level of ownership to fit their needs, all while reducing the expenses of purchasing a second home, and getting to enjoy the benefits of a premier resort. Enjoy a practical way to be immersed in a maintenance-free lifestyle unattainable anywhere else in the Napa Valley while creating a legacy experience for your family. From traversing through the thick, scenic hiking trails to a private cooking class for you and your family, there's something for everyone to enjoy.